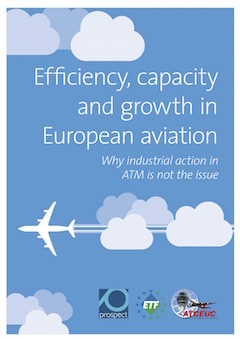 Prospect’s European affiliate ETF, together with ATCEUC, representing the vast majority of ATM workers in Europe, today launch a campaign against Airlines 4 Europe (A4E). As members will no doubt be aware, A4E (an airline lobby group) are vitriolic in their condemnation of ATM staff, and are lobbying heavily against the right to strike. This cannot be allowed to continue. As part of their lobbying, a report commissioned by them and compiled by PWC attempts to crudely demonstrate the disproportionate impact of ATC strikes. This is strongly rebutted by an excellent counter report provided by Prospect’s own research dept. This report sets the record straight, and clearly demonstrates that actually ATC strikes cause less than 1% of total delay. 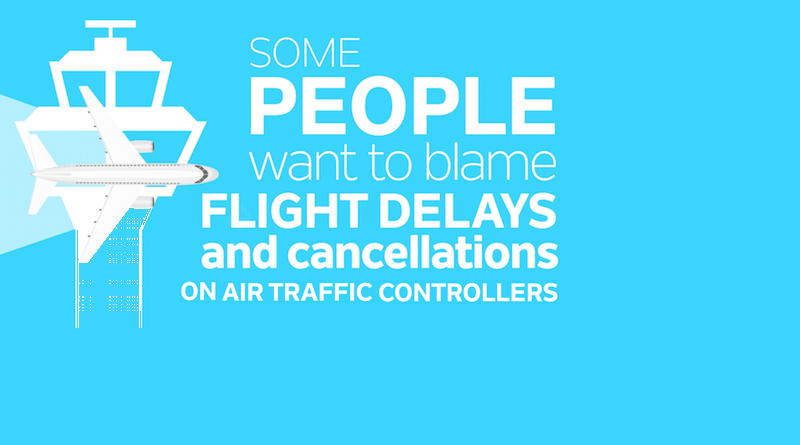 It is in fact airlines themselves that cause over 50% of delay, a fact they continue to suppress. A press conference is being held today in Brussels to set the record straight and to counter the ‘fake news’ being peddled by the airlines, in the interests of boosting their own profits. The report is linked below together with a short video explaining the issues. For updates please monitor and support the ETF ATM Committee Twitter and Facebook pages, and the ATCO’s Branch Twitter feed.